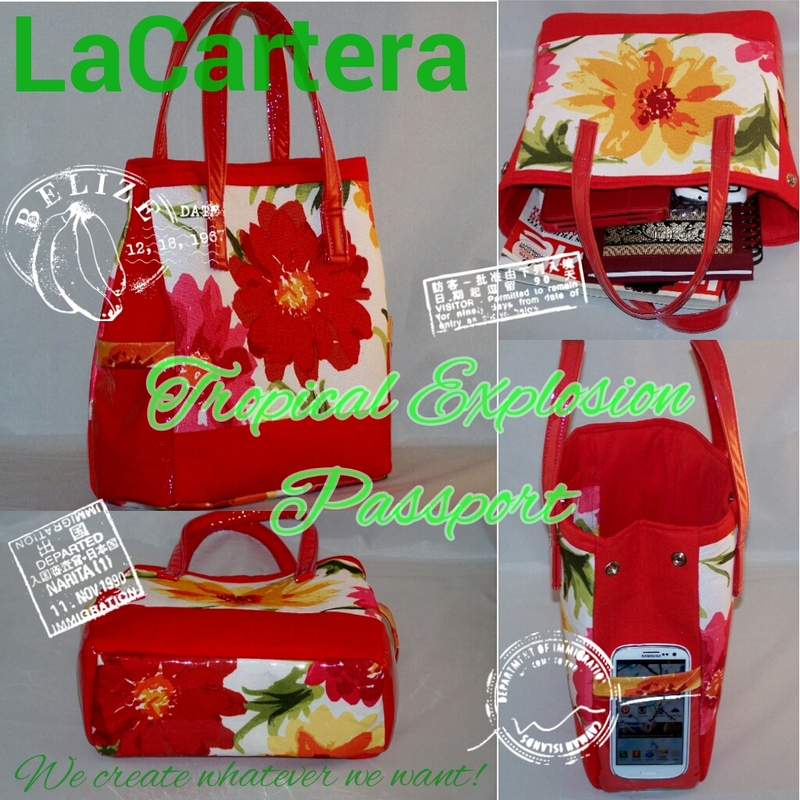 Tropical Explosion Passport- Is it a Hit or Miss? I’ve been busy this week working on a custom order and perfecting my “Tropical Explosion Collection”. I kept some of the features I liked, and added a couple of new features to this little beauty! 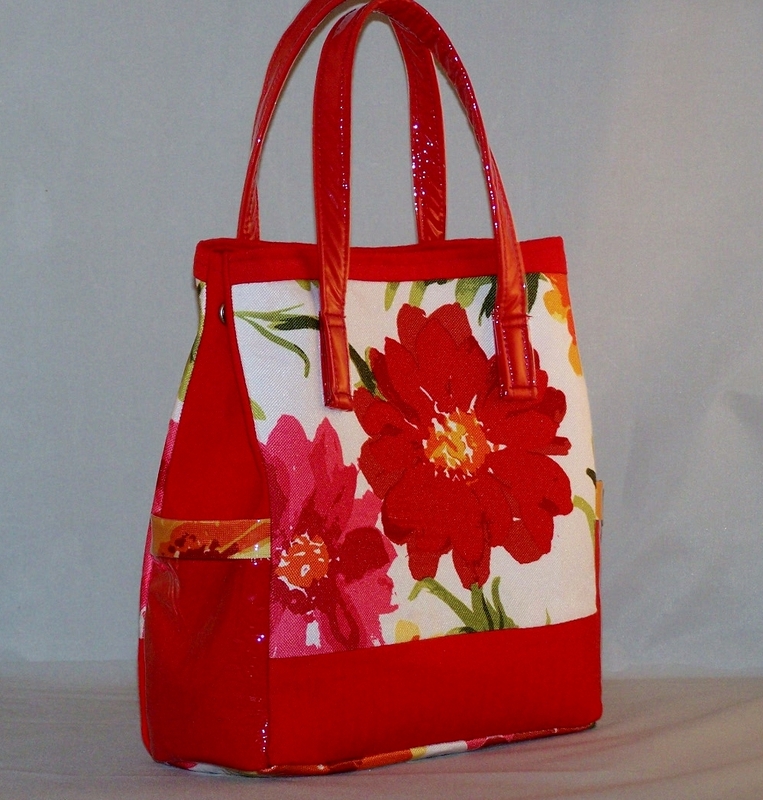 I mixed in the plastic vinyl, large floral print, and red gabardine textiles. The one noticeable difference is the 2 inches I added to the length of the purse, but I think I like the smaller version better. Searching for bright-colored leather sent me into a panic so I created a vinyl covered handles instead using leather. Adding snaps on each end and a magnetic closure at the top of the bag gives the handbag a sleek look. 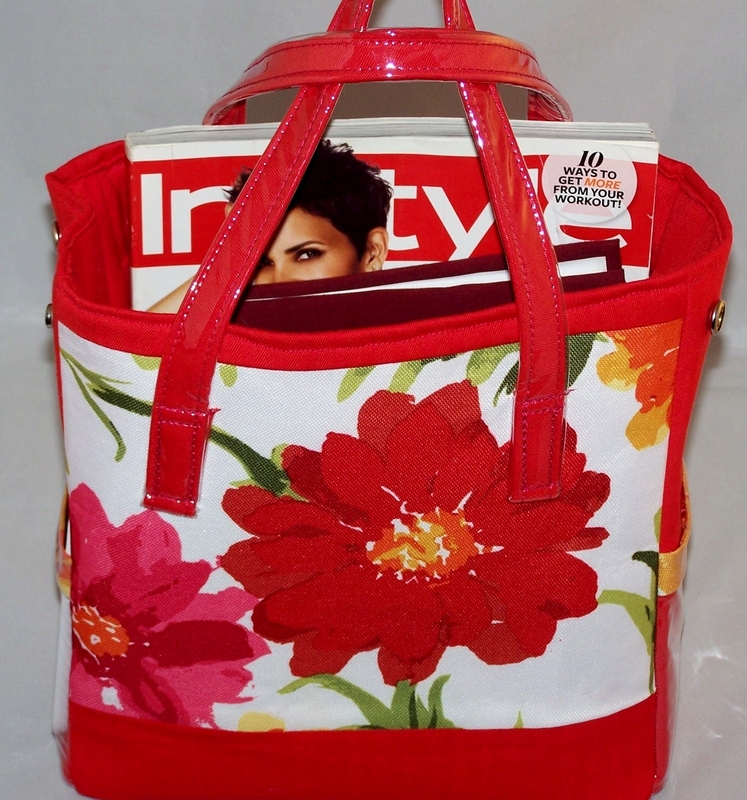 You can also leave the bag open to convert to a mini tote bag when needed. I kept the two inside pockets, vinyl side pockets, and added a vinyl cover over the bottom of the purse to help keep the bright fabric clean. Now I think it’s ready for Etsy! Previous Post Not your Ordinary Journal! I don’t normally like bold prints but I like what you have done with this. I love it. 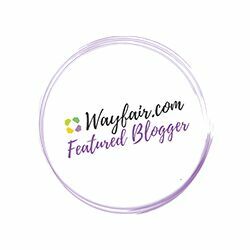 I am a tote bag junkie and this one is definitely a hit! 🙂 A holiday is not required to carry this bag around town. Just give me lots of sunshine! Thank you so much for your comment! Awesome!!!! I love the colors!! Thank you! I’ve just finished the yellow version. Love the added snap closure, versatile addition. 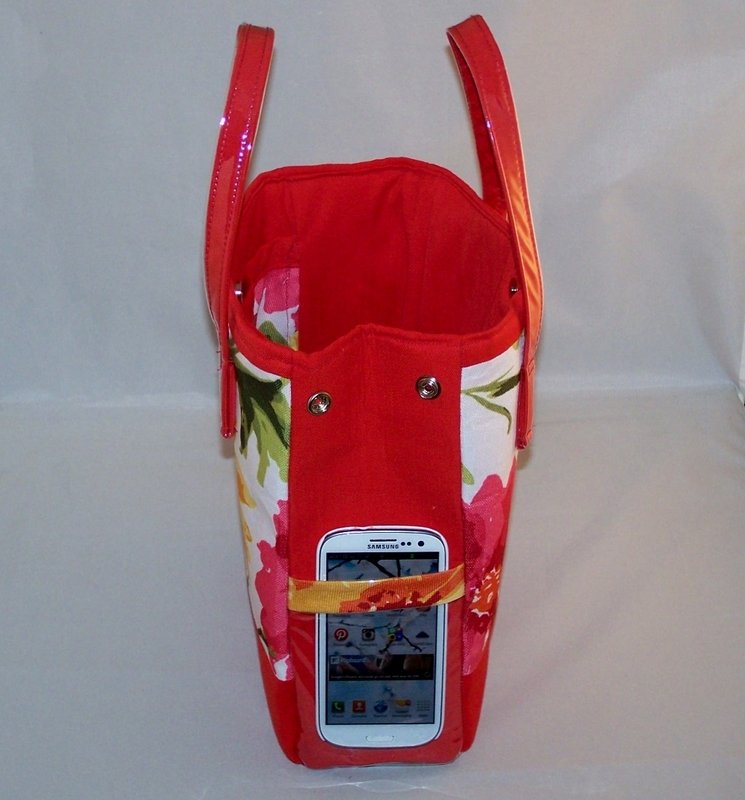 The outside phone pouch is a great detail too, and the color really pops…. Yup it’s a hit! 🙂 Thank you Alexandra! I really enjoyed making this too. I love it. The flowers are just amazing. Thank you! This is my first time using flowers in my design. I’m so glad you like it! Thank you so much! Love the design and color. I love the colours in this bag and the fact that you can fasten the sides together to make it sleeker,. Good job! Then the item is made with love! 🙂 Oh yes….lot’s of love!